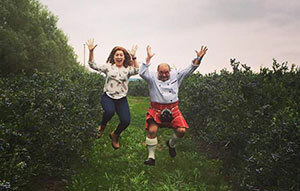 Join us on the farm in Nova Scotia, or invite us to your home or event for a unique, interactive culinary experience. 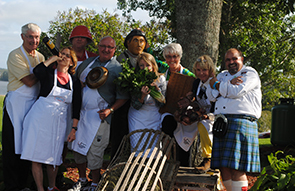 Join the Kilted Chef on his farm for a culinary journey from the pasture to the sea to your plate. 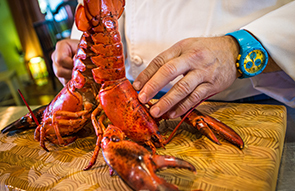 The day starts with sourcing local ingredients while learning how to select the best produce, fish and meat, followed by a private cooking class and capped off by enjoying your culinary creations paired with Nova Scotia wines. 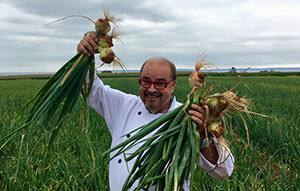 Weddings, banquets, private functions… Chef Alain will deliver. 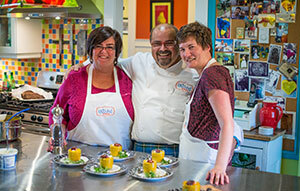 We work with you to plan the menu and coordinate with the venue. And if you prefer a more engaging experience, Chef Alain can integrate an interactive and educational component into the festivities. PRICE – Varies by group size and location.